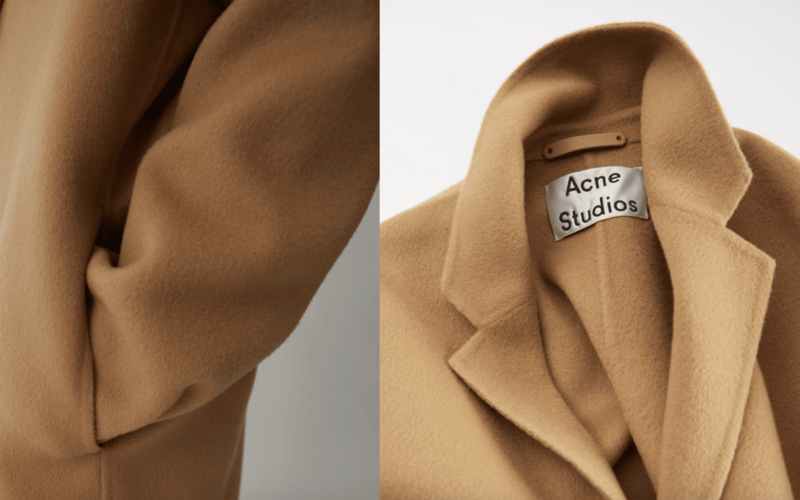 You search for the latest leather jacket from your favorite Designer for days and when it finally appears as a thumbnail on your page, you are ecstatic! Until you click on it to take a closer look and the image is grainy or blurry. You were looking for stunning product visuals but didn’t receive them. Remember? 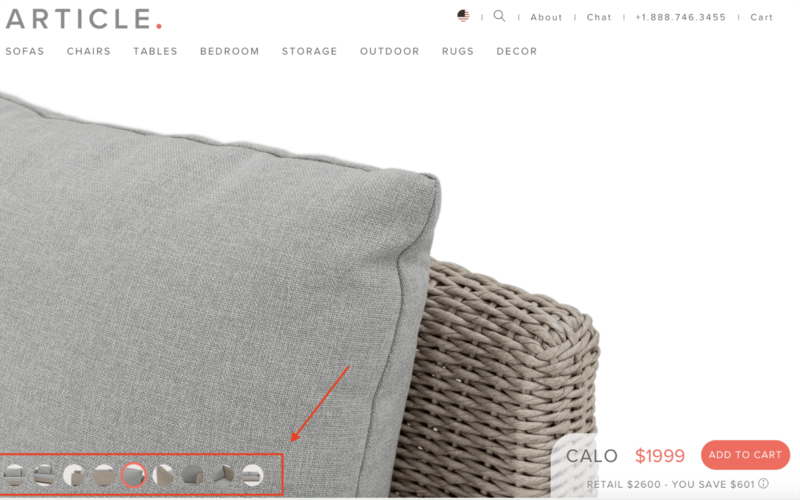 In today’s online culture, it’s not enough to showcase your products with a simple description and color option. Your client is more sophisticated. And your job is to keep them craving for more with excellent product visuals. Before we jump into basic product photo rules, let’s discuss the top Visual Trends for 2018 and Rich Media Content. Animation attracts the consumer because it brings a story to life. This type of visual content is one of the closest in recreating the in-person experience of holding a physical product in your hands and examining it from all angles. Although it may not be real, this all-around perspective gives your customers the same kind of view and feeling of control as they explore a product. Experimenting with 360° product views brought Golfsmith.com an increase in conversion rates that was at least 10 percent – and for some products up to 40 percent more conversions. Cathy McManus, the Stacksandstacks marketing director says that shoppers are 144% more likely to add a product to their cart if they’ve watched the product video than if they haven’t. McManus also expects the videos to cut down on the rate of customer returns and complaints because customers better understand the product prior to purchase. 73% of consumers say that they are more likely to buy a product if they watch a branded video that explains the product or service. Instructional videos go beyond the physical features and overall appearance of an item to show exactly how that product works. 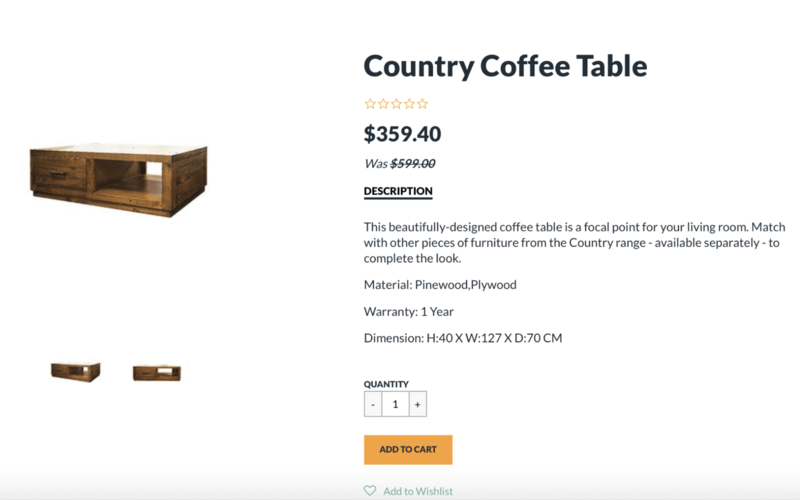 This type of content not only provides additional, engaging information on the product, but it also lets your customers imagine using the item – visualizing how it will improve their everyday lives. 96% of consumers find videos helpful when making purchase decisions online. It’s hard to imagine the beauty of a folded dress while walking down the street or understand how exactly that shirt will fit you. 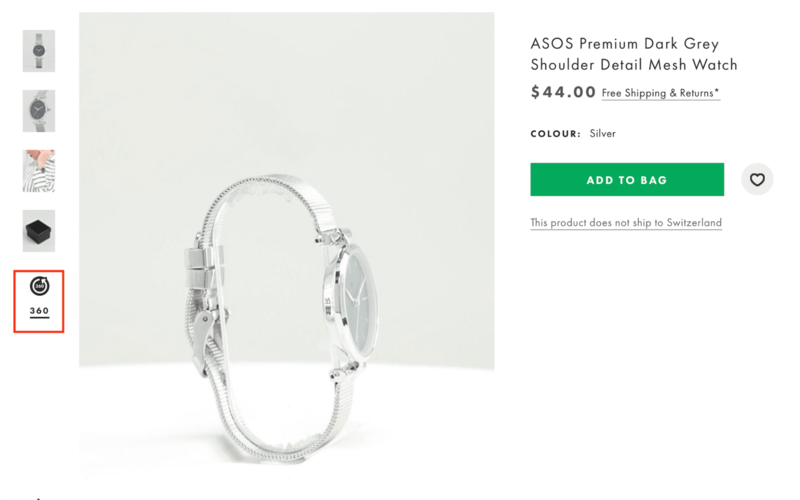 Shoppers particularly like ASOS’s catwalk video feature, because it enables them to get a real feel for the product before purchasing. Well, yes, it is pricey, but it is definitely worth your efforts. Doesn’t it make sense to spend money on one engaging/product/brand video instead of always taking the same photos of your products? With a video, you can use it for your social media ads, website content and other resources! Good photos will get people into your store; excellent photos will get them buying your products. Be it Rich Media Content like Video or GIFs, Facebook Ads or simply a Product Listing on your website, you need to be sure that the quality of the image is of the optimum best. 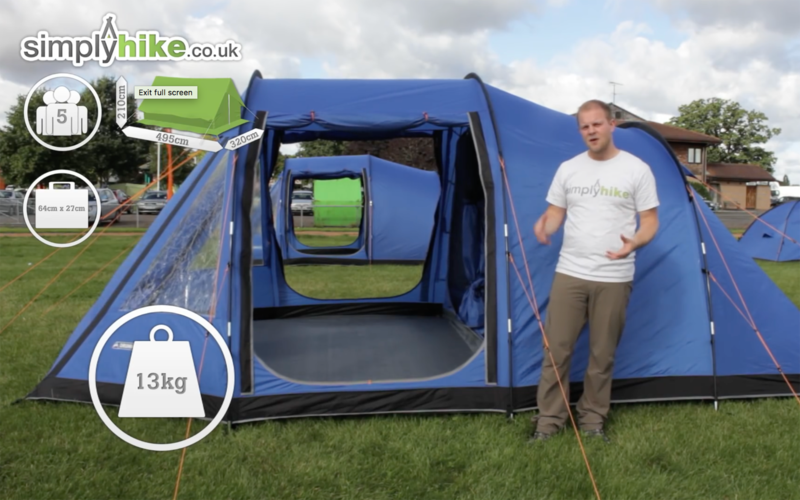 So how do you achieve the best visuals for your online products? The size of your image is important. You have but a few seconds to make a lasting impression on your online visitors. You are not doing your brand any favors by showcasing products that leave your customers squinting because the images are out of focus or of poor quality. Always use large images. And the more product shots you feature for the visitor, the more favorable and enticing it is for them to make a purchase. 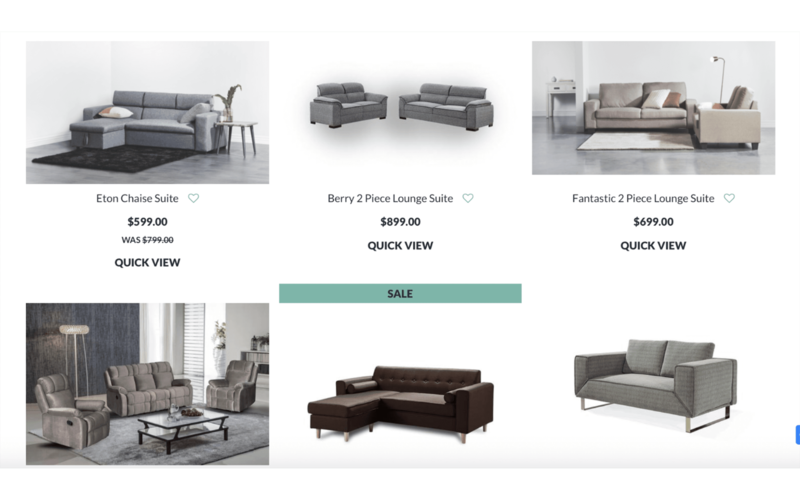 Skinner Auctions tested whether increasing the size of their product images from 250 pixels to 350 pixels wide would increase conversion rates. Their results were astonishing with 63% more of visitors starting the bidding process and a huge 329% more visitors completing all the forms necessary to make a bid. They zoom into your product to see fabric structure and fine details. Just because they can’t touch or feel your product, it doesn’t mean they are not interested in the quality of it. But if at that moment, your picture is pixelated and blurry, not even their love for your product will keep them on the page. 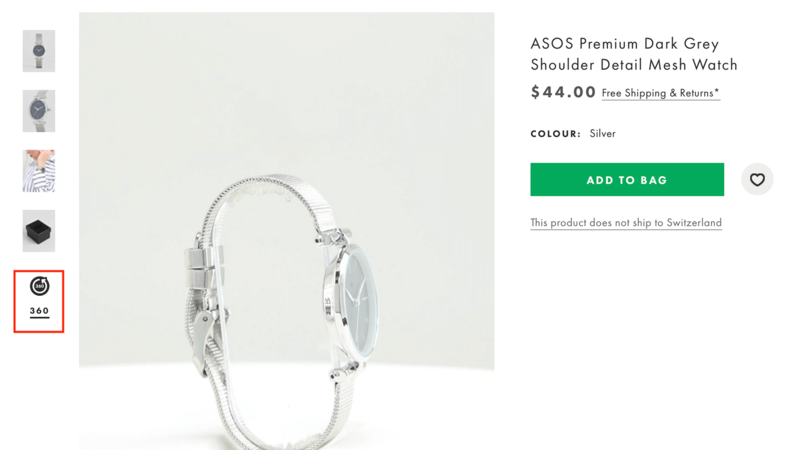 Low-resolution images are a huge no-no in the world of eCommerce, as it essentially eliminates any possibility the consumer has at properly examining the product. 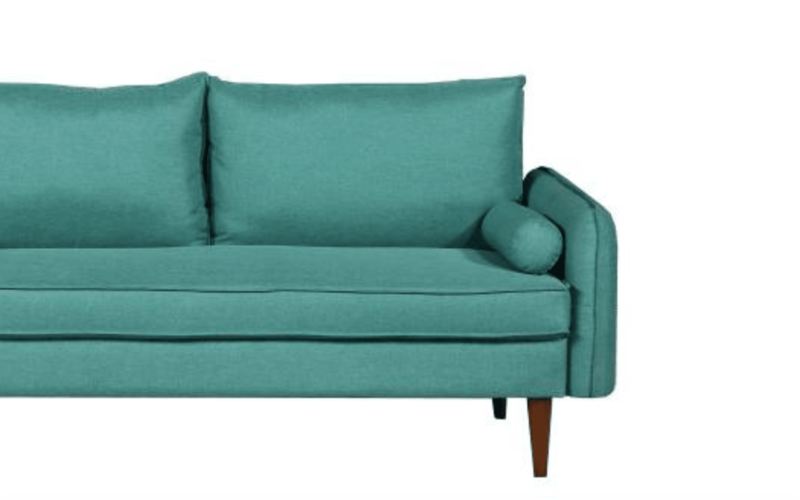 On the example below I can examine every part of the sofa. Imagine if every single image in the photo carousel was low-res? Is it clear from the photo what you sell? You sell a product first, not a photo composition, although I personally love when you can feel the atmosphere a product carries with it. 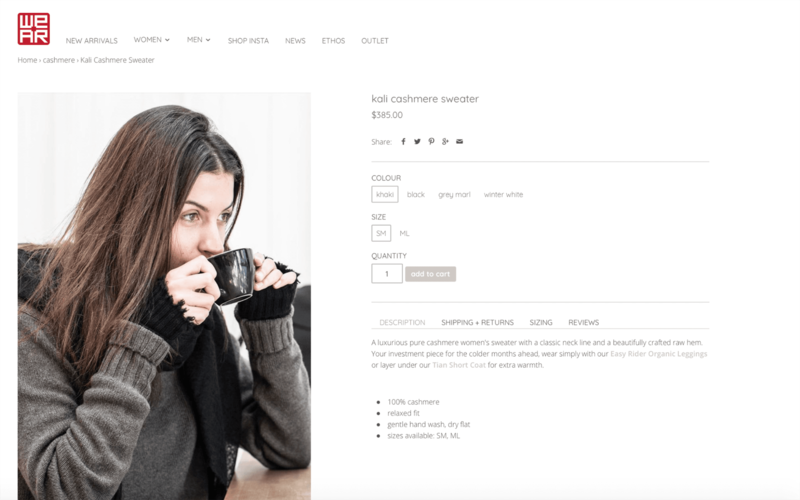 You can attach an additional photo of a model drinking coffee in your sweater but the actual photo of this sweater will sell it. They want to see a product separately, from different angles. Every product has a ‘Hero Image’ — the image that represents the product, whether it’s the only photo available or the first of a series. Why not take three to five photos of a product from different angles, or close-ups of certain features, and upload them as part of a series behind your awesome hero photo? This will enhance your visitors viewing experience compared to using only one photo. 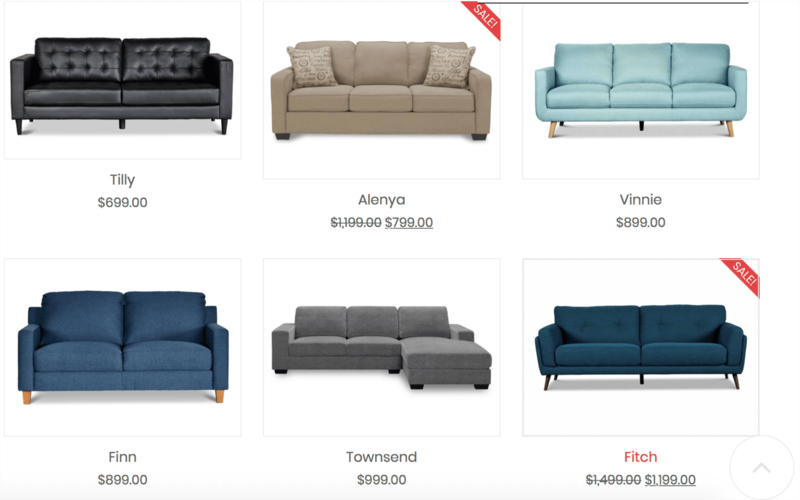 The rule of product image backgrounds is that the background should not conflict with or distract the viewer from the product. It seems to be clear. But what is often neglected is a common picture of your product collection. Never mix vector photos with compositional – it looks cheap and your buyer may have some doubts whether you really have the product you are selling them. Define one style, one background and even one product position for your collection. Create a beautiful and consistent grid. “Social Media is the driving force behind eCommerce and is the perfect place to captivate your audience into purchasing. Social Media is all about the communication from brand to the consumer. When branding products we communicate with the consumer through the content. 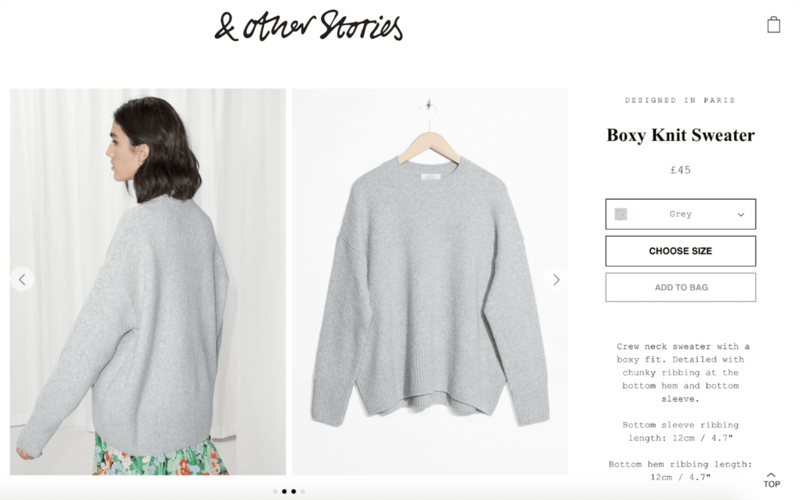 User-generated content, or UGC, adds another kind of value to your products’ digital representation in your online store: Social Proof. 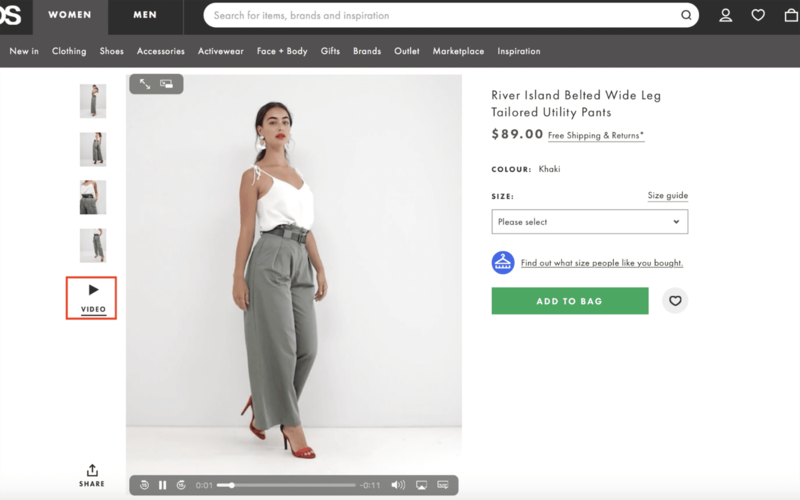 This is especially powerful when it comes to fashion, as potential buyers can see how a particular item looks on different body types – indicating whether or not it will work for them. 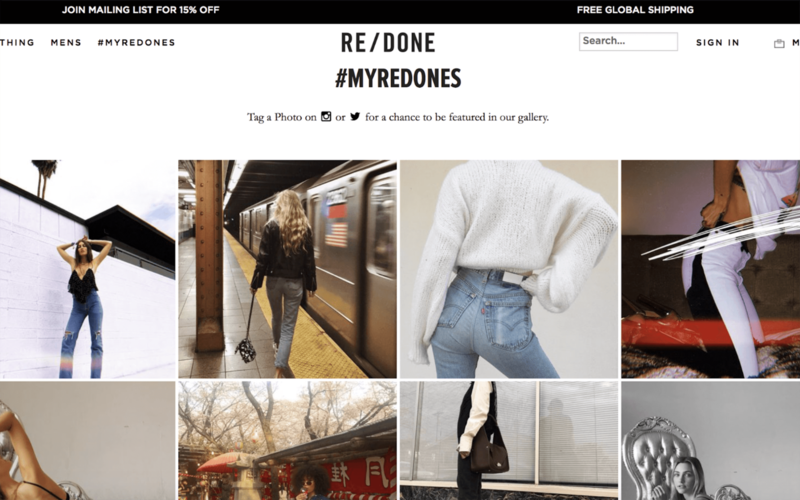 Encouraging users to share their own images not only adds to your database of visual content but also gives added comfort and information to others considering a purchase. 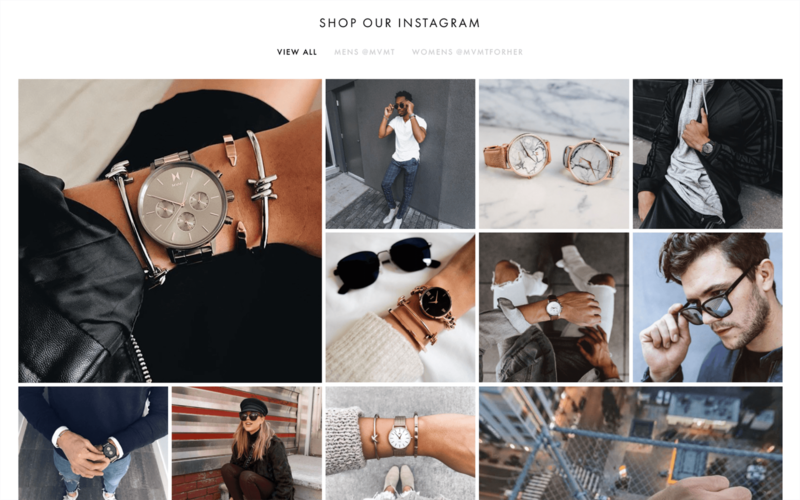 MVMT mixes up its professional product photography with Instagram UGC images to create a more comprehensive gallery of its products. Instead of showing a picture of a watch in isolation, we can now see how that watch looks on a range of different people. 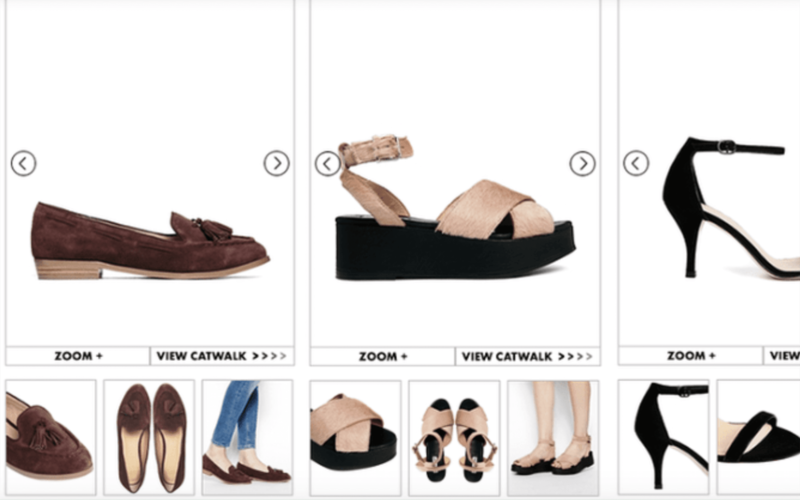 Create dynamic Shoppable social galleries that feature real customers enjoying your brand and products. It may be hard for you to spend several hours a day monitoring social mentions. 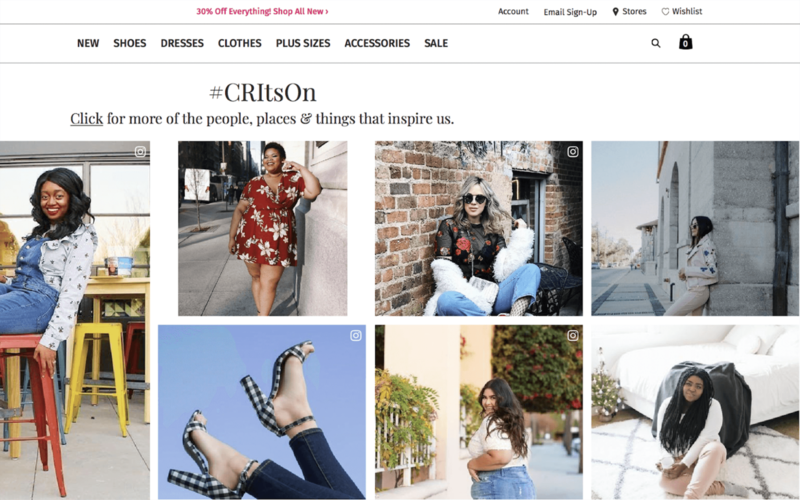 We know it’s time-consuming, but you understand the value of social proof: 70% of consumers say they look at product reviews before making a purchase, and product reviews are 12x more trusted than product descriptions from manufacturers. See what your clients say about you on social by publishing the best photo reviews delivered to you by a dedicated team of social media geeks. Image Quality is your takeaway from this article. Whether you are showcasing photos or videos for your online products – make sure the images are clear and the merchandise or subjects are appealing. Sales are the ultimate goal for every business owner. Outsourcing your photos and social media efforts are money well-spent if, in the end, the results mean more revenue and profits.